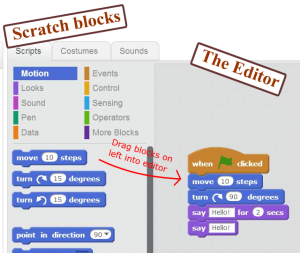 Animated Gif showing how to create and run a simple Scratch program. Step 2) Drag the block code from the left side and into the editor on the right. 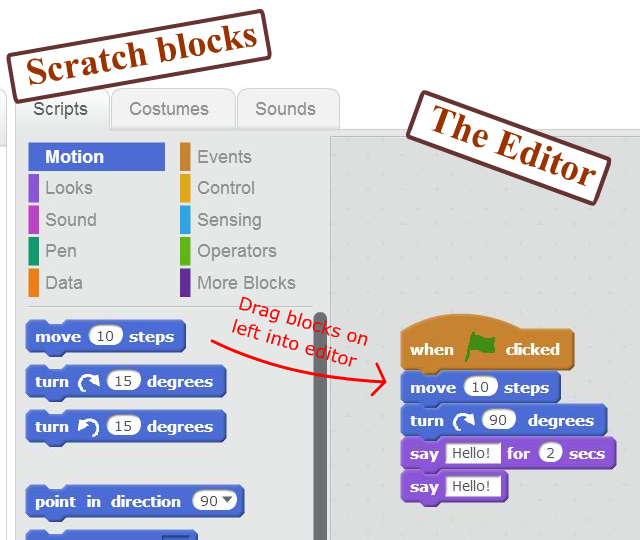 As the steps show you, starting out with Scratch is very simple. Just a few button clicks and drags! For further reading on the many other things Scratch can do, check out Scratch’s official “Getting Started with Scratch” pdfA.